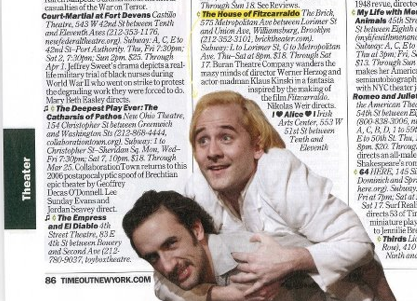 Adam R. Burnett and Jud Knudsen as Herzog and Kinski in the pages of Time Out New York. NyTheatre.com compares Buran to Radiohold, Siti Company, and The Marx Brothers. It was a Critic’s pick at Backstage.com. and NewYorkarts.net says: “It is a mish-mashed, cartoonish, envelope-pushing, boundary-crossing, unstoppably stimulating circus, guaranteed to keep the attention of the television-addicted, ADD audience of today.”. Here are some moments from its run at the Brick. and here are two trailers I made using footage from our run at Tricklock Company’s Revolutions International Theatre Festival in Albuquerque. 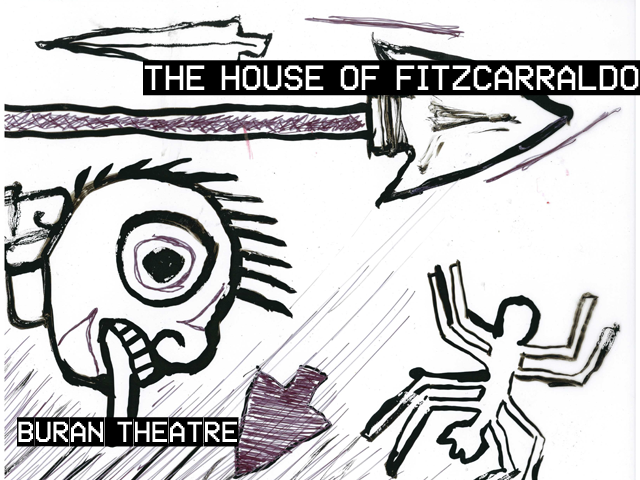 You can buy the text for The House of Fitzcarraldo at Indie Theater Now dot com. 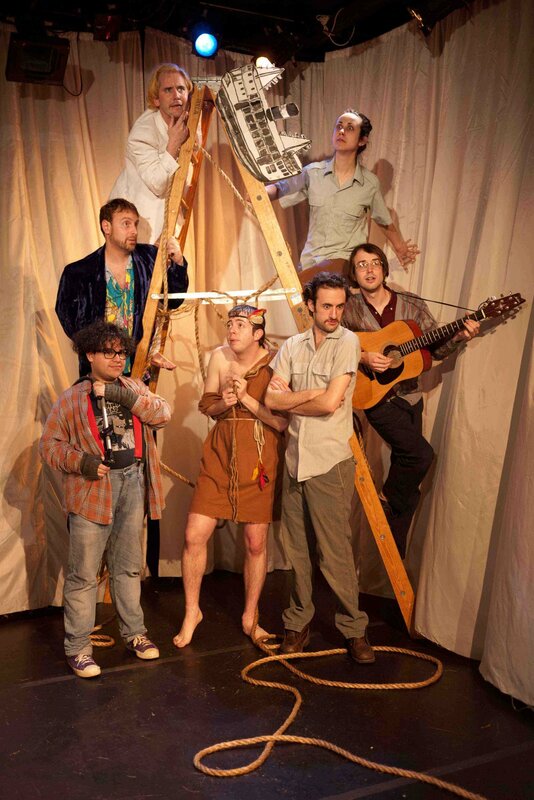 To learn more about Buran Theatre Company check out The Buran Theatre Company website. Click here to see all blog posts about the Buran Theater Company.